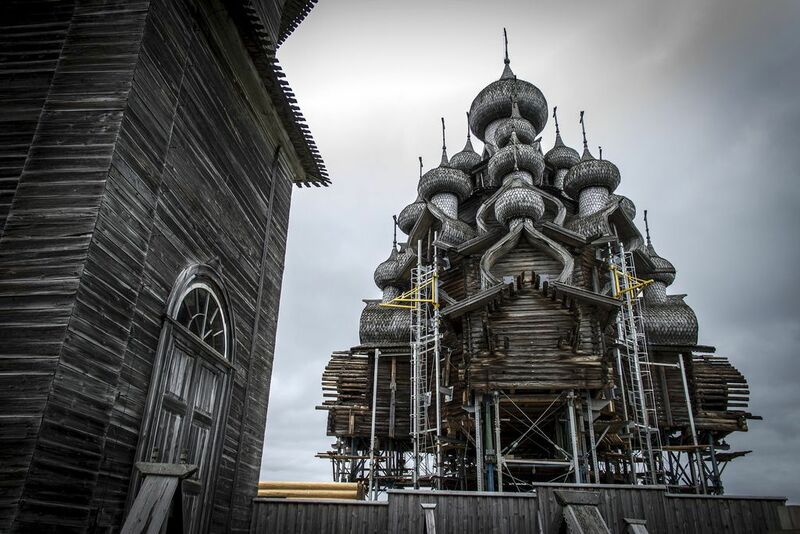 Kizhi Pogost – The eight wonder, built without a nail – Cube Breaker var scss_share_image="http://www.cubebreaker.com/wp-content/uploads/2018/04/GESGG77889.jpg"
On one of many islands of Lake Onega in the Republic of Karelia, north western Russia, there are two large wooden churches and a bell-tower. Built in 18th century, on a spot where once stood a medieval church, later damaged in a great fire, their breathtaking appearance and complex architectural construction got it included as a UNESCO’s list of World Heritage Sites in 1990. 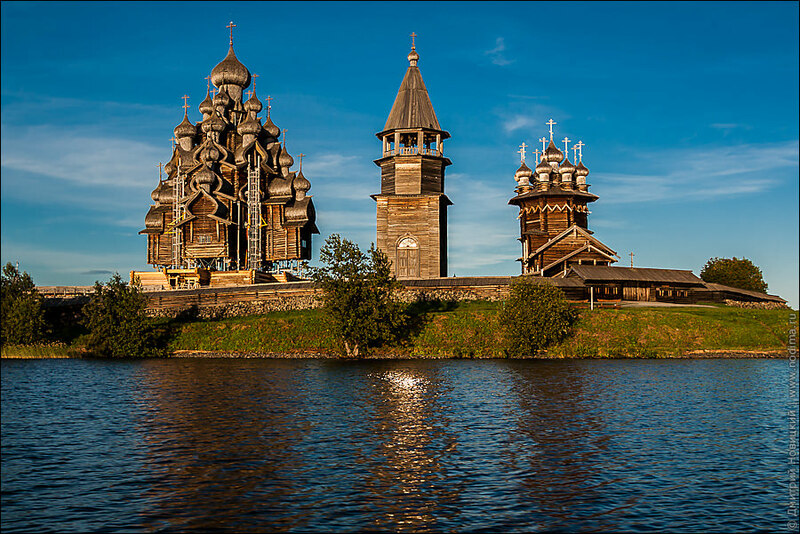 One of the most remarkable examples of wooden architecture is the Church of the Transfiguration or the Summer church. Its central cupola culminates at 37m, and it has 22 bulbous cupolas, characteristic for Russian Orthodox churches. The interior is decorated with wooden iconostasis holding 102 icons from the 17th and 18th centuries. The Church of the Intercession is built to be smaller so that it could be easily heated in the harsh winters. Its central dome is encircled with eight smaller domes, which makes this “ship type” church peculiar among Russian church architecture. Between these two churches stands the 30 meters-high bell tower with a tent roof. What is interesting about this site is that Kizhi Pogost was built without a single nail apart from the domes and roof shingles. Russia’s abundant forest lands were the main source for its construction. Three hundred red pine logs were used for its built. Its domes look like they were made of metal, but really were made of a poplar wood which gives them a gleaming appearance. Constructive of this site gave birth to a legend about Master Nestor who built the whole churches with only one axe. After he finished building it he threw axe in the lake and said “there was not and will be not another one to match it”.